Cairns has always enjoyed close cultural and commercial connections with China, which are celebrated all year round at the city’s Chinese Friendship Garden and through the close relationship Cairns enjoys with her sister city of Zhanjiang in China. The Chinese influence in the North Queensland region stretches back over two centuries and has shaped the identity of the region in a variety of ways. The initial Chinese migrants began to appear in North Queensland in the 1860s, heading for Charters Towers gold fields. By 1871, the census of that year shows that 430 Chinese nationals had settled in the area. This number had increased dramatically to 18,000 by the end of the decade, at which time North Queensland was home to Australia’s largest Chinese community. Most of the Chinese settlers had been drawn to the area by the Palmer River Gold Rush, hoping to make their fortunes. They represented 40 percent of Queensland’s mining industry by 1874. By the end of the 19th Century, much of the area’s Chinese population was involved in agriculture. They boosted the prosperity of the region by shaping and enhancing the crops that were farmed successfully in North Queensland, including rice, corn, pineapples and bananas. By this time a Chinatown was flourishing near Atherton, although it was largely abandoned by the end of World War I. Today only one structure remains, the Hou Wang Temple, a rare example of Chinese architecture. The temple has recently been fully rebuilt, and the site of the original Chinatown still generates a lot of archaeological interest. Regular digs have unearthed a lot of Chinese artifacts from the 19th Century. This allows us to understand even more about the influence the Chinese community has had on the cultural identity and prosperity of the North Queensland region. The annual Chinese New Year celebration is one of the highlights of the Cairns calendar, attracting around 10,000 Chinese nationals to the city each year, as well as the thousands of local residents who come together to celebrate the influence that the Chinese culture has had in shaping our regional identity. January 20th – Chinese New Year Festival VIP Launch at the Reef Hotel Casino, 10.30am. February 1st – Yum Cha Business Lunch, Cafe China, Reef Hotel Casino, 12.00 noon. 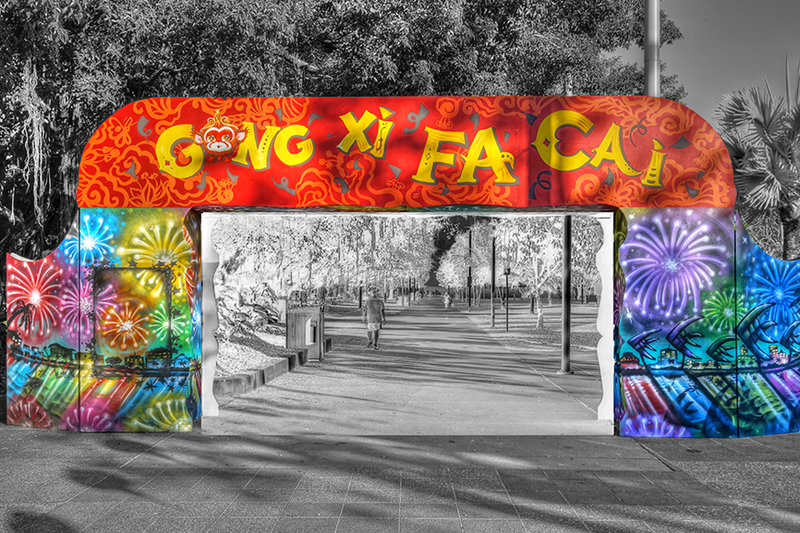 February 4th – CADCAI Annual Chinese New Year Gala Banquet, Cafe China, Reef Hotel Casino, 6.30pm. 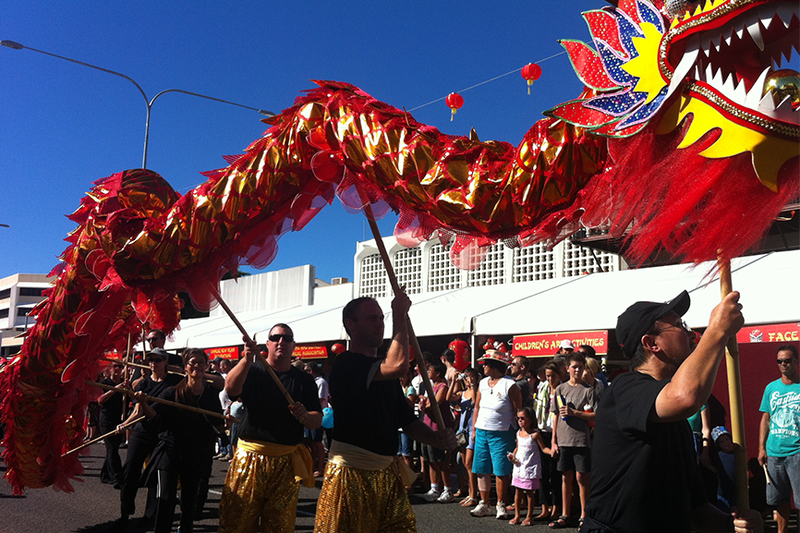 February 11th – Chinese New Year Street Festival, Cairns Historic Chinatown, Grafton Street, 4.00pm to 9.00pm. 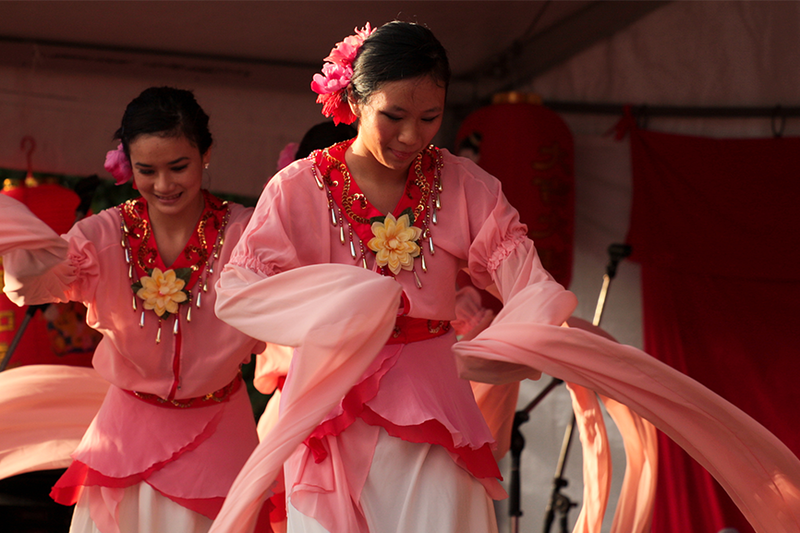 These and the many other events of this year’s Cairns Chinese New Year Festival will showcase the vibrancy of the Chinese culture and the positive effect it continues to have on the life of Cairns.